The diamond trade is a global and geographically expansive business that involves myriad issues and interests, and sustainability is high on this list. AWDC, as the representative body for the diamond industry in the world’s largest diamond hub, takes its responsibilities in this domain seriously. Adhering to strict principles of good business practices and promoting a sustainable and transparent diamond industry are key strategic priorities for AWDC. That is why AWDC supports several initiatives and organizations like the Diamond Development Initiative (DDI) and the Responsible Jewellery Council. 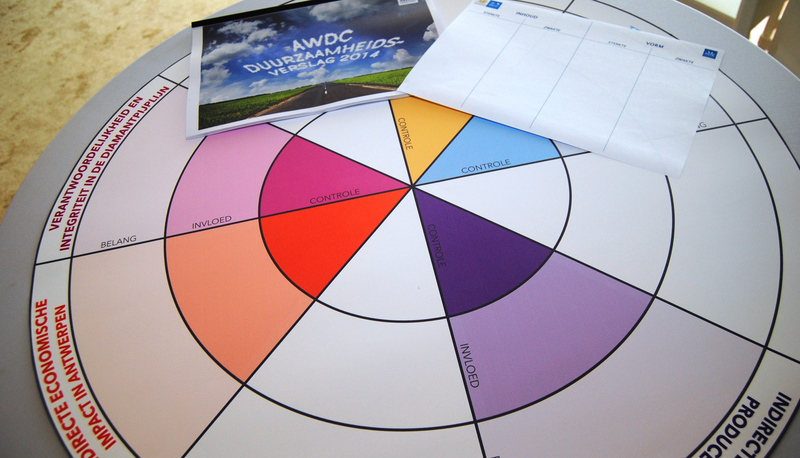 Furthermore, AWDC was instrumental in the formation of Antwerp-ITCCO Action Learning for Sustainability, an organization affiliated with the United Nations that organizes training programs and gathers knowledge about sustainability, corporate social responsibility and business ethics. In 2015, Antwerp-ITCCO was recognized officially as the local branch of the United Nations Institute for Training and Research (UNITAR), and changed its name to CIFAL Flanders. In Antwerp, we strongly believe that a healthy diamond industry entails taking responsibility for itself and its broader impact.